SO. Dust has settled, hands have been shown, and metaphors have staled into cliché. Both Sony and Microsoft have revealed their seventh-generation consoles and fan-boys on both sides are proclaiming victory in comment sections around the net. Starting off with the least important factor it seems that there's not much to choose between the two. Both appear as black slabs, divided into sections, with the main difference being that the PS4's whipped-back slant makes it italic to the Xbox One's bold. Both controllers are along the same lines, taking no chances, though the PS4's DualShock 4 does have a capacitive touchpad, a headphone jack in the controller, and a built-in speaker, whilst the Xbox One's controller has only smoothed out its previous iterations and added vibrating feedback in the triggers. Turns out you can judge a book by its cover - as the PS4 and Xbox One's similarities continue to the innards. Both have gone for custom AMD chips and eight-core CPUs with 8GB of RAM - though the PS4 has an edge there, using GDDR5 instead of Microsoft's DDR3. Sony also has the graphical edge with its GPU estimated by ExtremeTech to be on a par with the Radeon 7870 whilst the Xbox One's is nearer to the Radeon HD 7790 - a step down for certain. Both units have their own motion sensor, though the Kinect 2.0 seems to be more sophisticated than the PS4's Eye, with the latter having to be purchased separately (though with the price difference - which we're coming to - this doesn't seem to be a big deal). In terms of the peripheries that didn't get seen at E3 - by which I mean the second-screen experiences for both consoles - it's six of one and half a dozen of the other. Whilst it'll be easier to hook your smartphone up to the Xbox with SmartGlass, being able to stream PS4 games to the PS Vita is a far more attractive - if you've already shelled out for the Vita that is. Microsoft looked pretty terrible on this front prior to their E3 conference, with their initial unveiling focusing on the Xbox One's multimedia possibilities. However, most commentators have agreed that their E3 roster did a lot to soothe troubled hearts. Beginning their conference with Metal Gear Solid V was poking Sony in the eye whilst taking their long-cherished exclusive (Hideo Kojima was even roped in show support), Microsoft ran through frenetic and fun looking titles like the goofy looking, Crackdown-inspired Sunset Overdrive and the Roman hack-and-slash Ryse (for which Crytek has pulled Kinect support in favour of a real controller). There were more explorative titles, including the game-building sandbox Project Spark and the TV-influencing Quantum Break (though exactly how the game will influence the show and vice versa is still unclear). Rounding out the roster were some expected big-name titles (the latest Halo & CoD, Battlefield 4, Witcher 3), and an expected big-small-name (a Minecraft port, following the games success on the 360), and a powered-up Panzer Dragoon refresh in the shape of Crimson Dragon. So basically a selection that should please any disgruntled Xboxer. But Sony did just as well, if not better. They have their own flagships in the shape of sci-fi shooter Killzone: Shadowfall; open-world-y action adventure title Infamous; and the latest title in the venerable Final Fantasy franchise. This is without mentioning the new big-thing from Bungie, the gorgeous looking Destiny, which looks like it'll take the best bits from Mass Effect but add some actual creativity into the look and design of the game. Plenty of titles were shared with the Xbox One (including Assassin's Creed, Watch Dogs and Diablo III), but the PS4 certainly boosted its support for indie titles. Perhaps most attractive were a pair of fantastic looking second-games from indie superstars: island puzzler The Witness from Jonathan Blow, the man behind Braid; and Transistor, from the studio that brought the world Bastion (it looks pretty similar as well - dreamy action/adventure). Here's where Sony really have Microsoft over a barrel. Unlike games lineup which might just come down to which titles take your fancy, the PS4 provides a selection of yes/no options, the answers to which Sony just knew were going to please. US CEO and President Jack Tretton looked like he was trying to stifle laughter when he told audiences that 'yes' - the PS4 would be free of limitations on used games, that 'no' - there would be no need for online connections, and, a bonus, that 'yes' - the console would even be region-free (the Xbox One is not). And this is perhaps where Sony really run away with the thing - the Xbox One will be out in November and will cost $499 in the US and £429 in the UK (don't do a currency conversion, you won't be pleased); whilst the PS4 (release date unknown) comes in at only $399 in the US and £349 in the UK. Quite a lot has been made out of these prices, and a lot of it justified. Comparing the two, it seems that Sony really have solidified the PS4's position as the better games machine - with slightly better specs for a hell of a lot cheaper, and less worries about unnecessary add-ons you don't even care for. But Microsoft is promising more than this. Although the multimedia features of the One have been widely criticised, they are key to its appeal. For a box that you might have in your front room for up to seven years, it doesn't seem crazy to pay over four hundred pounds for it. And thinking about how much functionality for the 360 was added over the years, you can imagine that the machine you're left with will be more than the one you bought. The main thing is: do you even want this? Is TV that big a deal when you can get Netflix on your laptop and a HDMI cable to plug it into your TV? Do you want to Skype people whilst you're trying to immerse yourself in a game? Microsoft has definitely got more ambitious, but it seems like they're trying to carve out a new niche for themselves in the market - the do-everything smartbox - rather than just sticking with what they know people want. The names said it all really - the PS4, which gives you more of the same; and the Xbox One, which wants to set a new precedent. 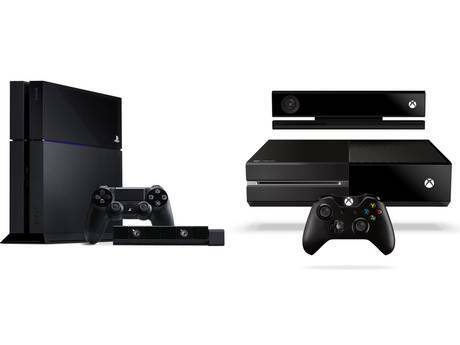 Sony risks PS4 backlash as gamers say: where's the box?